A major factor in lowering VOCs was switching from an oil or alkyd solvent to a water-based solvent, also called acrylic or latex paint. Water-based paints now account for 80 percent of the residential market. 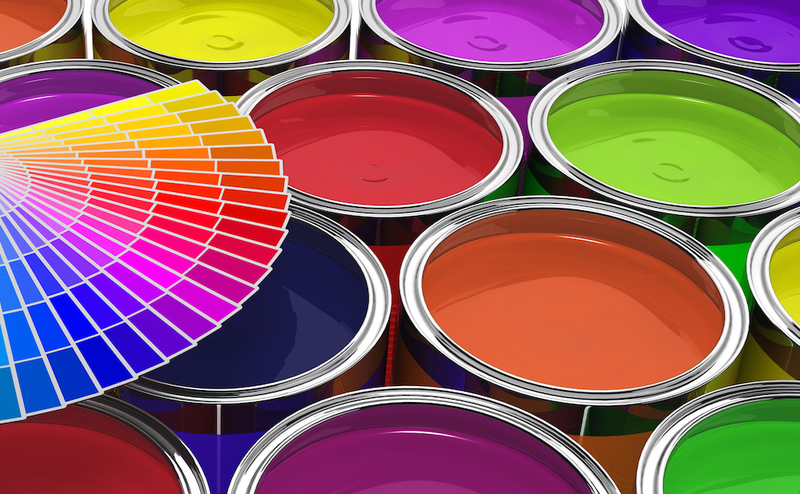 Water-based paints may be lower in VOCs, but they are not automatically VOC free. A 2010 study found that children exposed to the lower emitting compounds—propylene glycol and glycol ethers—typically used in water-based paints were two to four times more likely to suffer from asthma or allergies. Oil-based paints are still in use. Residential glossy paints sometimes have an oil-based solvent, and oil-based paints are popular for exterior use. Oil-based paints also are widely used for industrial and infrastructure painting. After solvents, which account for 40 to 45 percent of each gallon, paint primarily consists of binders, pigments, and additives. It is the latter two that can add to health concerns related to paint. White paint may be boring but it is much healthier. Most consumers aren’t aware that VOC levels can change dramatically when paint is tinted. The standard rule is the darker the color, the higher the VOCs being added unless the tint is specifically labeled as low VOC. Low VOC colorants are considered at the same 50 grams per liter standard as low VOC paints, so at a minimum adding a tint doubles the VOC content. Additives are performance enhancers that, for example, make paint dry faster, emulsify and disperse pigments, or repel mildew. All of these examples come with health warnings. One of the most popular drying agent bases—cobalt organic salts—recently has been identified as a human carcinogen. This comes long after lead—another popular drier and colorant—was banned for use in house paints in the United States in 1978. The industry is developing alternative drying agents based on metals such as manganese and iron. Surfactants help pigments stay evenly spread throughout the paint base. The most popular surfactants in paint are nonylphenol ethoxylates, or NPEs. NPEs are endocrine disrupting chemicals. That means they interfere with hormones that control growth and development, metabolism, sexual function, reproduction, and mood. Diseases related to hormone regulation include diabetes, obesity, breast and prostate cancer, and infertility. NPEs have been banned in paints by the European Union, Denmark, and Japan, and have been voluntarily withdrawn by manufacturers as an ingredient in U.S. laundry detergents. But they remain in household paints sold in this country. Biocides are another worrisome additive. Antimicrobials added to both exterior and interior paints break down and enter the environment where they are considered a persistent bioaccumulative toxic chemical that builds up in the food chain. They also are thought to be part of the growing problem with antibiotic resistant organisms.